I thought I could hold out, but because of reasons I am outlining below, I am admitting right here, as the eternal truth. 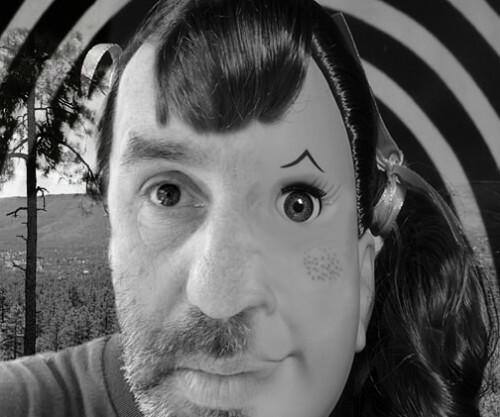 I invented the character, twtter account, web site named after the Talky Tina doll from the Living Doll Twilight Zone episode. It was all me. You see, the strain of managing alternative personality has caught up with me. Even after sleeping 8 hours, I wake up dead tired, only to find out that SHE was up all night, blogging, and creating badges, and taunting poor guys like Ben Rimes. @techsavvyed Look over your shoulder, bub. I really do not know how people like Todd Conaway manage creating these personas and sorting out themselves from their characters. Like the way Jim Groom described his conflict in 2011 playing the Dr Oblivion character, I am feeling almost a breakdown. So my therapist has recommended just being public, with the hope I can drive her dollness out of my psyche. But I am scared. She terrifies me. And She is me. I have always found dolls creepy, my sisters likely tortured me with them as a kid. Yeah, I blame them. I recall watching “Living Doll” as a kid and spent a year not able to go down the front steps from my house; my parents had to rig a sliding board out the kitchen door. But it all faded as I moved into adulthood. I was one of the two, and I was blown away, it was so much fun to hear you two go, and the actual alien abduction/choking scene was pretty crazy. And the tiny tina voice from Twilight Zone was brilliant””it is a blast, and the more we play in the radio space the more I feel like it s something I want to make an integral part of my web experience from here on out. It really does ramp it up to 11 when you have a live platform to experiment with. How prescient that was that Jim started talking earlier in this year about making The Twilight Zone a theme for the current summer class of ds106. And I started hearing Tina’s voice more and more in my head, she was telling me things she wanted to say. 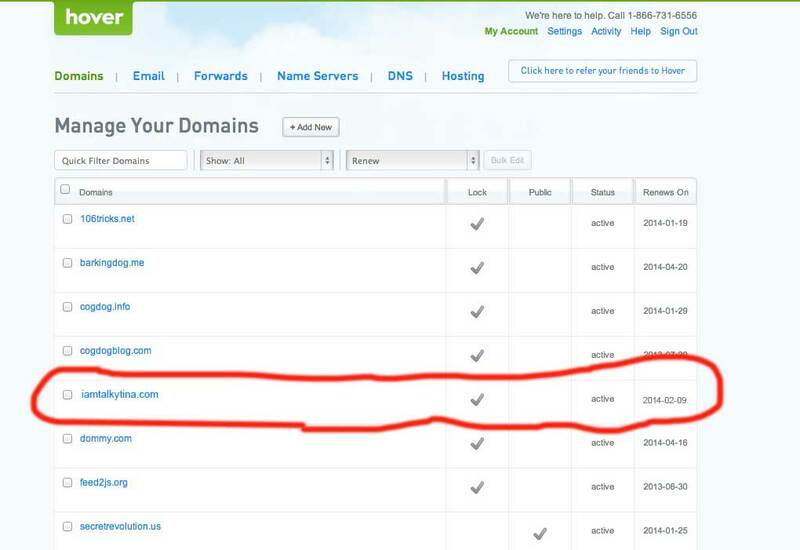 So I thought setting up a wordpress.com site would suffice at http://iamtalkytina.wordpress.com/ in early February. But that was not good enough for her. She is so insistent. Not only did we set up a website at http://imtalkytina.com but she taught me some API syntax and walked me through some ruby coding to set up a twitter responder using some slovenian coded intelligence API engine, and a tweet scheduler to throw off timing, all to keep her communications going even when I was elsewhere. She is pretty tech savvy, you know. But her later thoughts are going beyond just gioving out badges for friends, she has bigger plans for those who are plugged into ds106 and I am worried what she might do to that community. I do not know what happen when I publish this. She is sneaky. Vengeful. She plays on people’s softening at a doll’s countenance. And I bet there will be denials, accusations, a real flow to counter my admittance. She cannot do her work without me being her puppet. But I cannot do this. Anymore. Tomorrow I am hoping to escape her reach, I am headed to the Grand Canyon for a long hike with a good friend, who has promised to watch me when I sleep, to make sure she does not emerge. But do not be fooled if I am quiet on twitter, she will be going strong, blogging, trying to rally her true, open, friends and who knows what. BEWARE! SHE IS DANGEROUS! I would not be surprised to find out what other tricks she has had me do in her name, without my knowledge. I created her, but I cannot seem to destroy her. I am hoping the majestic and pure scenery of the Grand Canyon will be soul cleansing. .. it is one giant staircase. I am @Iamtalkyina I was @Iamtalkyina. Wow, that is creepy. I am glad to be whole. UPDATE: June 18, 2013 Many people in the #ds106 zone seem to think they are seeing signs of or are talking to @iamtalkytina talking “super true friends” or claims I have “hit his head” or weird songs. I can assure you she does not exist, and any perceived communications, messages, represent the true, sick, creepy messed up power of her ability to get inside your deep inner psyche. If you are having these symptoms, I suggest getting some psychological assistance or at least start drinking more heavily. Think about it- you actually believe you are communicating with a talking doll? Say that out loud 5 times. Hmmm…but why does the invoice for A Small Orange say it was created on “invoice-generator.com”? Anyone can make a realistic-looking invoice there. And make a webpage that looks like Hover, bub. 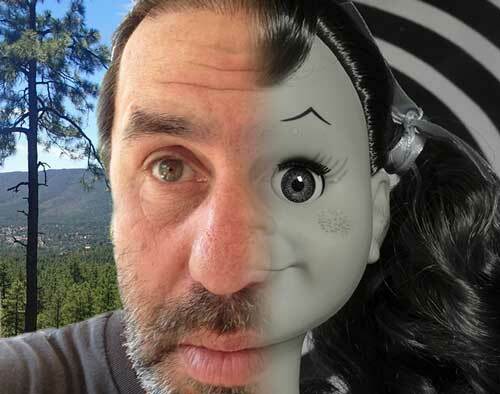 and we all know that Mr. Rimes is behind Talky Tina anyway, as proven in our Radio Show. Pingback: Would the REAL @IAmTalkyTina Please Stand Up? Nice try Alan, but I am the real @Iamtalkytina. I applaud the great lengths you went to to try and mock up a pretty convincing argument (complete with digital paper trail). 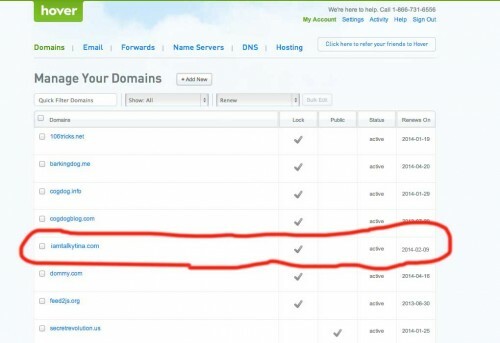 While the iamtalkytina.com domain is in fact registered with A Small Orange, several of Tina’s quite helpful tweets “accidentally sent by me through her account, and not mine” prove that I am just as sloppy as the grandmaster Jim Groom when tweeting from multiple accounts. As most know, I am the effervescent font of helpful tweets in the #ds106 community, and as of late, Tina’s tweets have sporadically popped up in the same helpful tone…I was enjoy the beverages a bit too much during my conference in Madison this week, and let a few tweets slip under the wrong account.